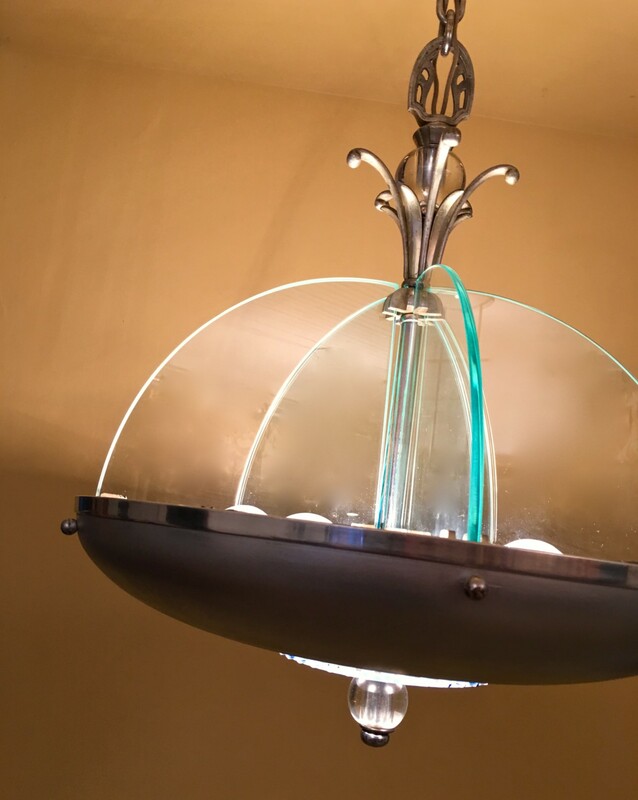 I purchased this circa-1940 Moderne chandelier because I love such fixtures but also because the chandelier did not appear to need much work. But, after I received it, I realized that it was missing something. …just perfect. And pretty fabulous, too! 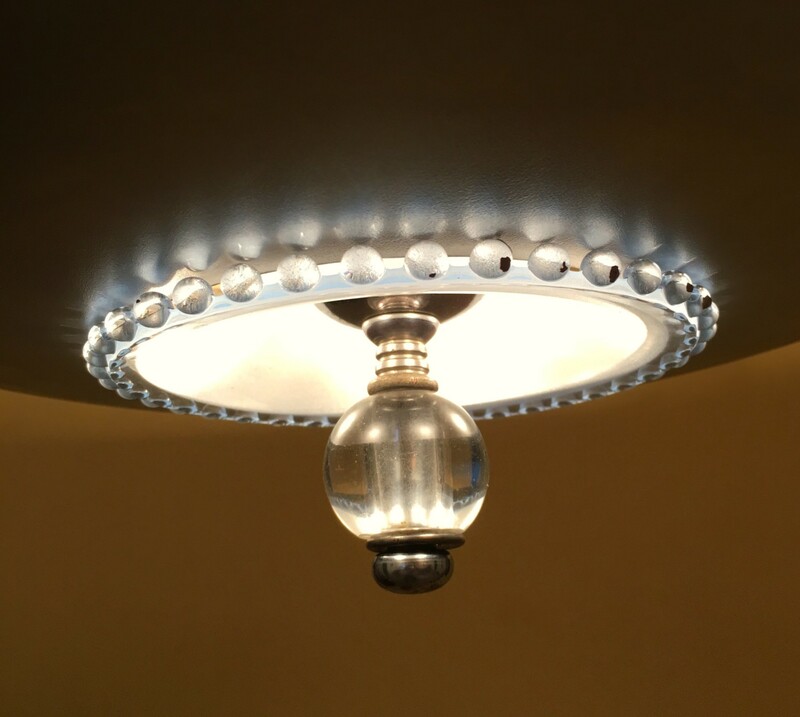 Under the metal shade is this delicious Hobnail-edged glass insert, and a glass sphere finial. Yummy. 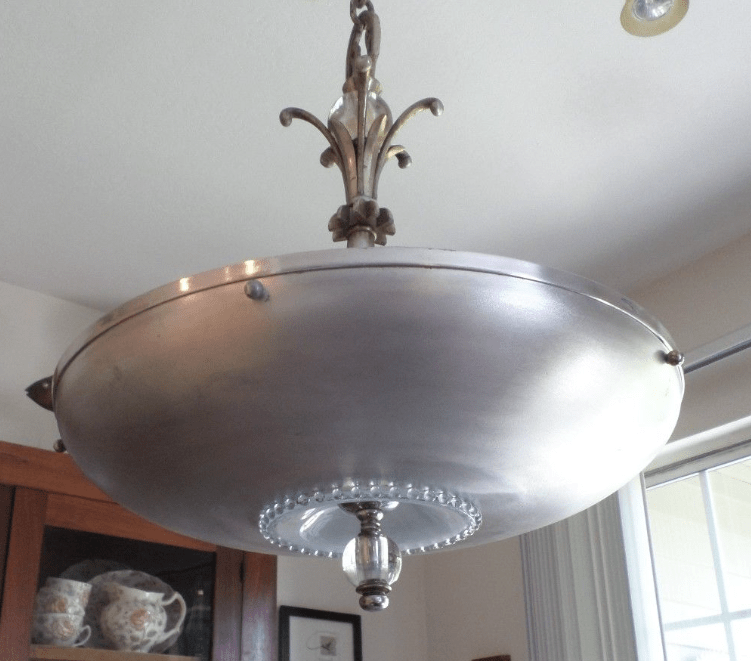 Even unlighted the fixture is a knock-out. I am mad for the upper flourish. 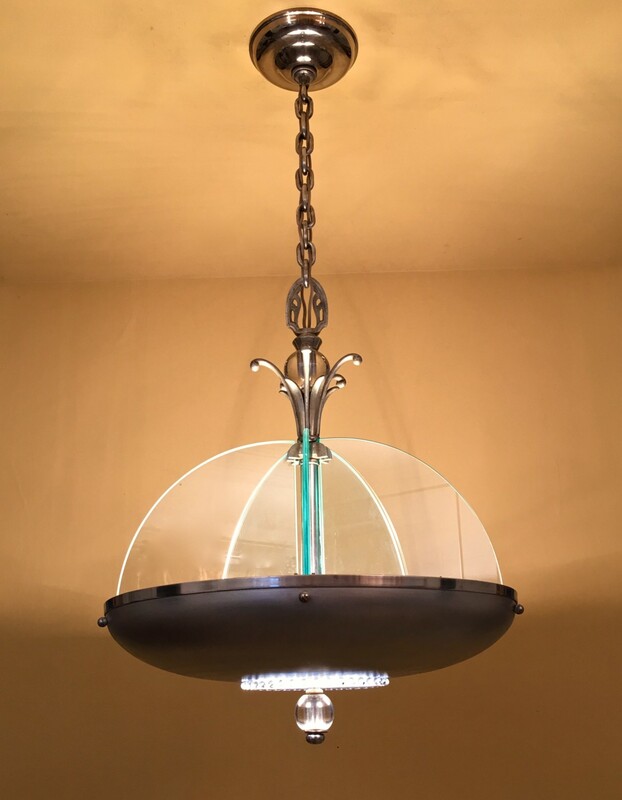 This is the most remarkable delicious moderne chandelier!!!! Yummo!!! 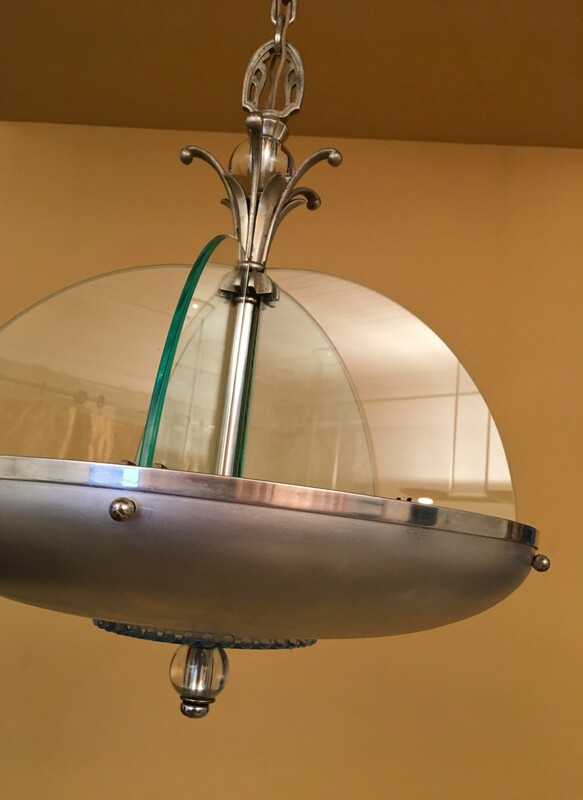 That is a very cool piece indeed!